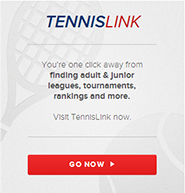 iPhone App Now Available for USTA League Tennis! Click here to download the iPhone League app from the iTunes Store. Playing USTA League just got a whole lot easier and even more fun.